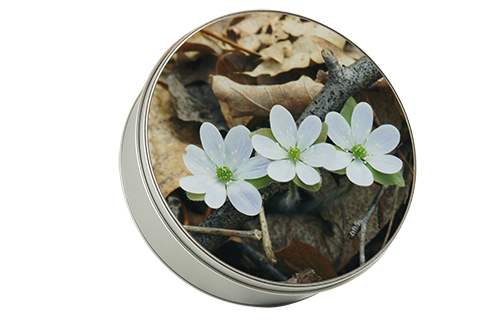 Round Silver Metal Storage Tin, 5.875" diameter x 2" with a high quality aluminum photo insert. 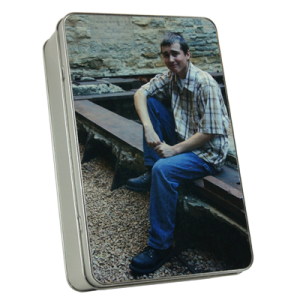 This unique gift can be customized by adding you favorite photo and text. You image and text will be infused onto a 5.69"round aluminum insert, NOT a sticker like some other companies. You can fill this food safe container with your recipient’s favorite treat or add a customize puzzle for a great gift item!